TALLAHASSEE, Fla. (AP) — Florida Gov. Rick Scott signed an executive order Thursday responding to confusion over a new Florida law, and he's making it clear that it doesn't make public beaches private. 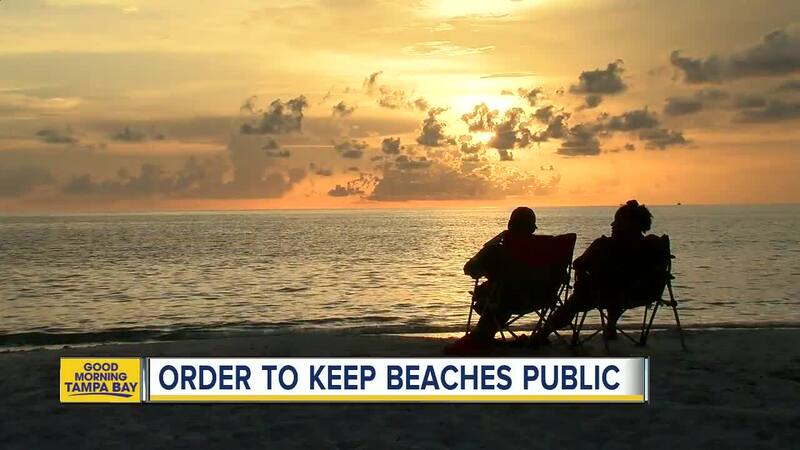 A law that went into effect July 1 makes clear the process local governments have to follow in order to allow public access to otherwise-privately owned beaches. It doesn't change beach ownership, though it did void a beach access ordinance passed in Walton County in the western Panhandle. "Because Floridians and our visitors deserve to have access to our world-class beaches, and property owners deserve to have their property rights respected, it is critical that there be no room for confusion regarding access to public beaches in Florida," Scott said in the order. In Florida, many homeowners own the sand down to the average high-water line, though some counties have passed local ordinances that let the public use otherwise private beaches for sunbathing, fishing and walking if people have historically had access for those purposes. 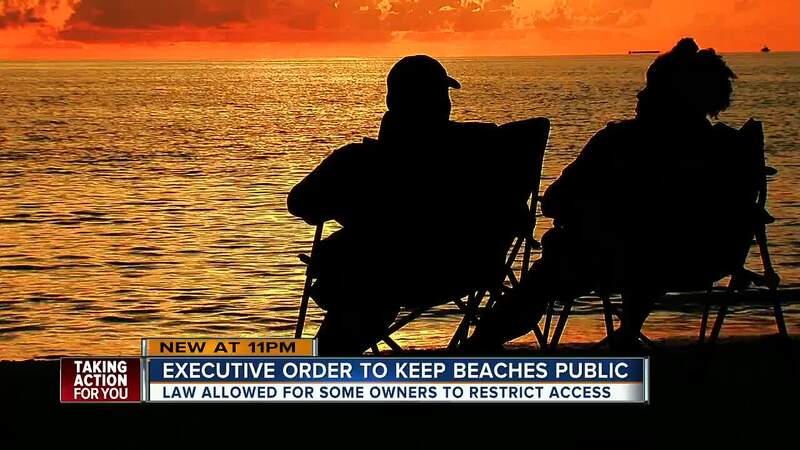 The new law spells out the process for local governments to allow public access to those beaches, including providing notice to property owners and having the ordinances approved by a court. Walton County's ordinance didn't fit the state's process, but it is the only place in Florida where beach use changed when the law went into effect. But there's been widespread confusion on what the law does, leaving some people afraid that they'd no longer have access to beaches around the state. Scott, who owns a $14 million beachfront home in Naples, is directing the state Department of Environmental Protection to establish a website where the public can report any problems with gaining access to public beaches. The agency must review the complaints and issue a report to the Legislature on their findings. Scott also ordered all agencies under his direction not to implement any rules restricting access to public beaches unless it's to protect safety. He also urged any other government agencies to not pass ordinances to restrict access to public beaches and urged state attorneys "to take appropriate actions to ensure that the ability of the public to access Florida's public beaches in accordance with longstanding Florida law is preserved and is not infringed."